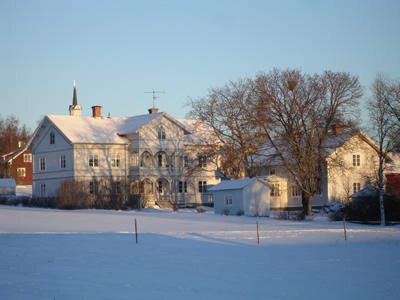 Our beautyfull Hälsingegård was built in 1853.It is situated in Los, a little village 56 km from Ljusdal. 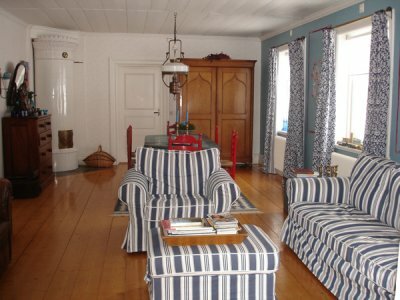 On the ground-floor of our Hälsingegård you can also use our very cosy sittingroom, with the beautyfull "kakelugn's"
* When you have a special event,it is possible to make a reservation of all the rooms on the groundfloor. 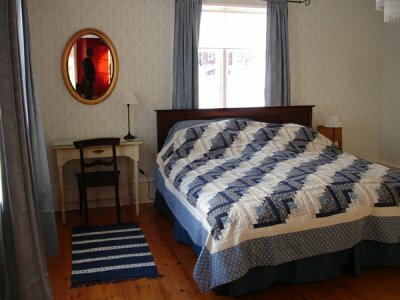 In our second house we have on the first floor a spacious appartment with 2 bedrooms,a sittingroom,kitchen and bathroom. 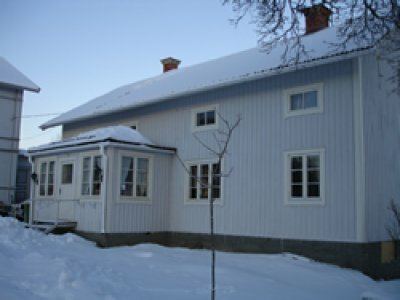 For those who are looking for adventure and love nature, we have a traditional grain store,Härbre. 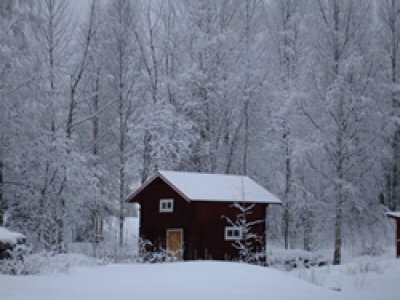 Living primitive,but there is always the possibility off enjoying the luxery from our Hälsingegård. Copyright © 2005-2009 Jolix Netsolutions KB. With reservation for changes and errors	.